As a fellow of the International Academy for the Study of Tourism, Prof. Bihu Wu (Tiger WU) is one of the most known and active scholar in the field of tourism development and planning in China. He is a Professor at Peking University that he joined since 1997 and where he is conducting specialized researches in the area of tourism development, planning and management and where he teaches Urban and Regional Tourism Planning, City Tourism and Recreation Planning, for both post graduate and undergraduate students at College of Urban and Environmental Science, Peking University. He is the founding member and the Director of the International Center for Recreation and Tourism Research (iCRTR) at Peking University. He was also the founding member of the Department of Tourism Management at East China Normal University in Shanghai, where he studied and worked for 17 years. He was Visiting Professor at Purdue University (USA) in 2000 and 2005, Hong Kong Polytechnic University in 2009. Dr. Wu acts also as consultant in regional tourism planning and research, domestic tourist market studies, resort and historical site planning and design and management. Most recently he has conducted training programs and provided tourism planning and development advice in many provinces and municipalities in China. He has served the Project Leader for tourism master plans for many most famous international destination cities in China including Beijing, Hangzhou, Xi’an, Chengdu, Zhengzhou, Ji’nan, Wenzhou, Xianyang, Dunhuang, Yan’an, Jinggangshan, and others. He has played the role of a tourism planning consultant for international organizations including the UN World Tourism Organization (UNWTO) and the World Bank. He served as the Chinese team leader for ‘China Best Touristic Cities: Standard and Regulations Formation Committee’ for the China National Tourism Administration (CNTA). 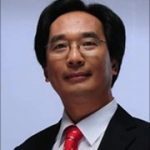 He is the Secretary-General (founding chair) of the International Tourism Studies Association (ITSA); a Committee Member for China National Tourism Standardization Committee; Chairman of the China Regional Tourism Development Research Association; and Vice President for Beijing Tourism Association. He is the co-founding editors of International Journal of Tourism Cities, and editor of Tourism Planning and Design (Lvyou Guihua Yu Sheji in Chinese), while he is also member in the Editorial Boards of more than 10 major international tourism research journals. He has been awarded four National Nature Science projects, published more than 300 papers/articles, written and compiled more than 30 academic books (as sole author and co-author), and translated more than nine international tourism related academic books/journals. His current book, ‘Tourism Planning Principles’ has received excellent feedback from academicians and general public in China and abroad. 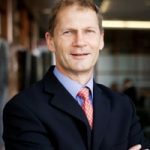 Nigel Hemmington is Pro Vice-Chancellor International and Dean of the Faculty of Culture and Society at Auckland University of Technology. He was formerly Professor and Dean of the School of Services Management at Bournemouth University, and was Reader and Director of Research at Oxford Brookes University. His research and consultancy interests are in the areas of sustainable consumer experiences, professional development and learning, and consumer behaviour in hospitality and tourism. He has published more than 100 articles and conference papers in academic and professional publications, and has presented at international conferences in Paris, London, Philadelphia, Miami, Athens, Dublin, Cyprus, Plovdiv (Bulgaria), Sri Lanka, Rarotonga and Brunei. He has been submitted as “research active” in all five of the UK Research Assessment Exercises and the New Zealand PBRF in 2012. Most recently he has been interested in the development of the concept of hospitable tourism within the context of the consumer experience and the experience economy. This research has led to consultancy with commercial and industry organizations including the Caribbean Tourism Organization where he developed a human resource strategy for the tourism industry. Professor Hemmington’s other research interests are in the development of life-long learning at work, the design of frameworks for continuing professional development, and the measurement and modeling of customer satisfaction in tourism. Professor Hemmington was President of the Institute of Hospitality, the international professional body for the industry, in 1997 and Vice-President in 1996. He is an alumnus of the University of Surrey, a Fellow of the Institute of Hospitality, a Fellow of the Institute of Continuing Professional Development, a Fellow of the Chartered Institute of Marketing, a Chartered Marketer and an Honorary Member of the City and Guilds of London Institute. Prof. Darshana Sedera has published his research in the information systems field in over 120 publications in major refereed journals and conferences. His publications have appeared in The Journal of the AIS, Journal of the Strategic Information Systems, Information and Management and The Communications of the AIS. 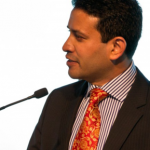 He currently serves as the Director of the Master of Business Information Systems and the Head of Research of the Digital Transformation Research Group at Monash University in Melbourne, Australia. His research on the social media use on travel and tourism is recognised by PlumX metrics as one of the most influential research in 2017-2018.